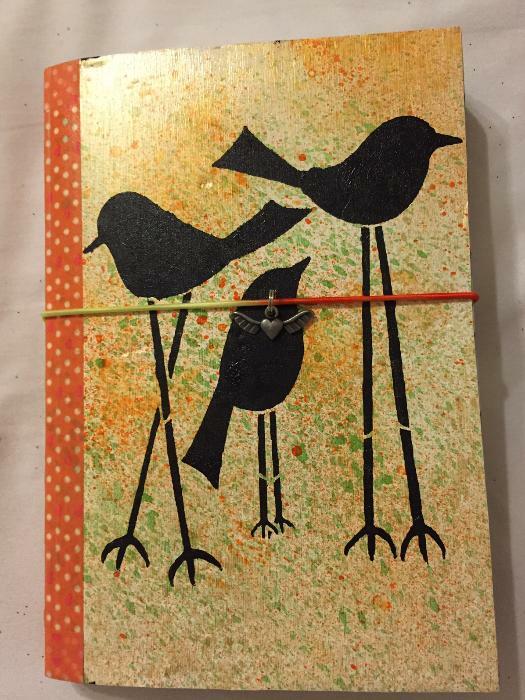 This journal was made by our very own Patti Campbell here at Art for the HeArt and Soul. If you have had the chance to see one of her journals then you will know how delightful and full of joy they are. She has added beautiful pages of art work, pages to write on and pages to do your own art. She has also included tip in and pop outs which you will love. Please let me know if you have any questions.